Human beings are designed to walk upright. A curve in the lower backbone, specially adapted pelvis and thigh bones plus the upright position of the head on the spine all uniquely equip humans for walking and running on two legs. Many believe, however, that unless your posture conforms to certain rigid standards, it causes you pain. This mistaken belief is among the posture/pain myths that can interfere with physical comfort, movement and even your recovery from pain. However, we all have a different shapes, different tissue quality and different natural mobility, which means that good posture largely relies on each individual’s sense of ease and comfort and how long that lasts in any single position. When you are standing or sitting comfortably, you have found your own body’s sweet spot. Trying to align your stance with someone else’s standards for good posture can actually do you more harm than good. Instead, finding a comfortably balanced posture that does not strain specific muscles or joints is one important way to keep pain at bay. But even that position will hurt if you stay there long enough. So, in fact, regular moment is an essential part of good posture. In truth, however, little scientific evidence exists to confirm these tenets. 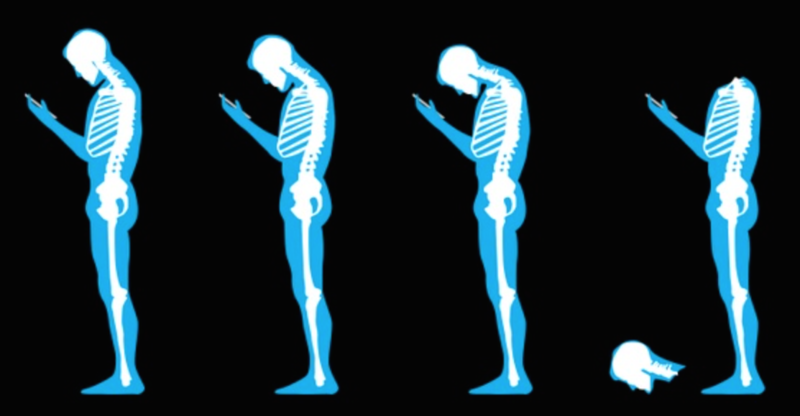 Research has failed to uncover a correlation between poor posture and the severity or frequency of pain. 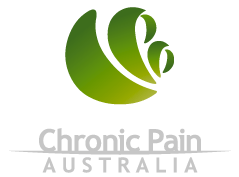 Chronic pain typically has more than one cause. It’s related not just to physical factors but also to your individual physical and emotional history. This explains why some people who slouch are not in pain while some with ‘perfect’ posture are. When your brain senses an immediate physical threat, it alerts you with pain. Your body’s sensory system, your memory of previous injuries and even social or environmental factors tell your brain whether your safety is at risk. If you feel comfortable slouching at your desk, your brain does not perceive a threat nor does it create a pain alert. Stay there long enough, and it may start to hurt, but that is not due to the position as much as it is to a simple lack of blood flow in whichever tissues are under pressure at the time. While all of these suggestions might help, they assume that your posture is the direct cause of your pain. They limit you to a specific theory – poor posture always causes pain – and to exercises or corrections that may not ease your pain. In fact, following the above advice could increase your pain. For example, doing too many ab crunches or doing them improperly can irritate your low back. Pulling your shoulders back all day commonly results in a stiff upper back and neck pain tension. A holistic approach to pain is more sensible and effective. Most importantly, becoming aware of unnecessary or unconscious muscle tension or guarding during the day and learning how to relax it. Positive habits like regular exercise, meditation, eating right and getting enough sleep are also likely to help. However, research has proven that the above beliefs are not necessarily valid. Some people will experience posture-related pain while others in similar situations will not. The causes of pain are more complex than posture alone. Are you stressed at work? Have you been at your desk too long? Are you staying fit and strong? Do you have a previous injury or some other physiological problem in that region. Your tissue health and strength helps determine how much activity or strain you can tolerate before your pain system rings the alarm bells to tell you it’s time to change what you’re doing. If you are healthy and fit and relaxed, you can tolerate most positions for a longer duration than someone with suffering chronic stress or a musculoskeletal injury. Your posture isn’t inherently bad, but it’ll hurt if you exceed your current tolerance for it. Whatever activity you are doing, there will be positions that minimise the amount of strain in your body and allow you to remain comfortable for longer. Other positions aren’t necessarily damaging but you may exceed your tolerance sooner and therefore need to move or change your position towards comfort more often. Because everyone’s comfort range and tolerance to strain is different postural management has to be based on your own physical awareness. Postural awareness can be an important part of osteopathic physical therapy, but a broader perception of pain’s multiple causes focuses treatment more effectively. A holistic approach that addresses not only posture but also individual characteristics, past experiences, social factors and environmental impacts is more likely to get to the roots of your chronic pain. Sit completely relaxed in your chair, so relaxed that your shoulders and head slump forward. Now bring your attention to your chest and abdomen and try to take a slow, full breath…. as deep as you can without moving your spine. Notice that it is impossible to take a full deep breath in this position. Now imagine being able to take a full breath and then change your position to allow that to happen – so your lungs can fill right to the top. Notice that the only way you can breathe deeply is to lengthen all the way through your spine, but also that you don’t need to pull your shoulders back or tuck in your chin or arch your spine. Your neck and shoulders can stay relaxed and at ease. If you are ever worried about your posture, ask yourself: How can I be more comfortable right now? Can I take a full breath? Am I relaxed? Thank you for sharing this great post. I’m glad to find others who feel the same about posture. I’m a Somatic movement therapist and Mindfulness Coach. I often ask people to sense where they feel most at ease either in sitting or standing and find that simply responding to the word ease triggers a parasympathetic response and shifts body physiology. Often the diapragm releases and they’re able to take a spontaneous deep breath. I call this “the calm response”. Sometimes this simple shift can ease pain. I stopped teaching core strengthening exercises 8 years ago when I realised it was causing more tension and less efficiency of movement. Easy effortless releasing, restoratative type whole body movements seem to work best for most people who are tense and tight. Glad to have found you. Our team provides osteopathy, naturopathic medicine, remedial massage, acupuncture & exercise rehabilitation. We specialise in acute and chronic neuromusculoskeletal injuries and pain management, with a focus on preventative care and education. We’re located in Sydney’s eastern suburbs, next to Bondi Junction station.